How to mount a sheath on MOLLE webbing? Discussion in 'Gadgets & Gear' started by Handwrecker, Dec 20, 2011. I've decided on the G clip for belt time. 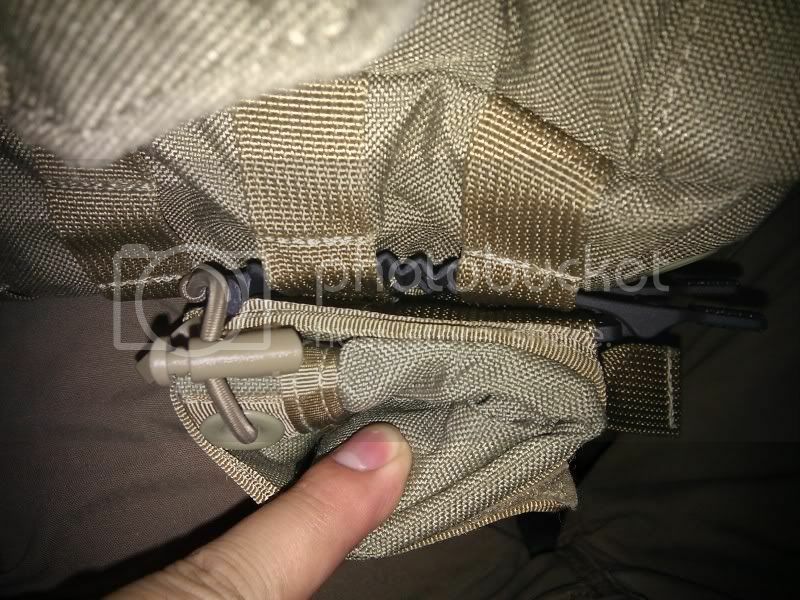 Also, my backpack has some MOLLE webbing on it, but I know nothing about MOLLE locks. I currently have two ideas to mount this fixed blade sheath to my bag. The first is a small Malice clip and looking for appropriate Chicago screws from the hardware store. Th other is getting a Blade-Tech small MOLLE lock and the Tek Lok hardware. I just want this sheath clipped to my backpack using the MOLLE webbing, but have no experience with this. Any advice and/or photos are appreciated! Both love and hate but at least there is some info that might help. Thanks for the link, that definitely gave me some good info into the two different clips. 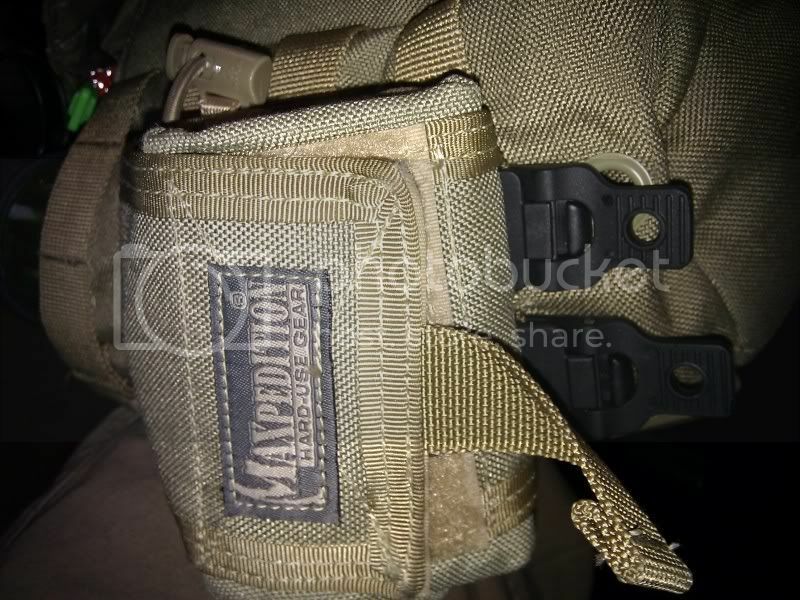 If anyone can help explain the best way to mount my knife sheath to the MOLLE webbing on my pack, I'd be extremely grateful! I just lash mine to my LBE with 550 paracord,and the cord has a bazillion uses. The cord idea works, or you should be able to find a molle clip that will atatch to the sheeth then just feed it through the molle straps. I've standardized on Tek-Loks. Just easier to have all your gear to be mounted the same way. Never seen or heard of any fail before. 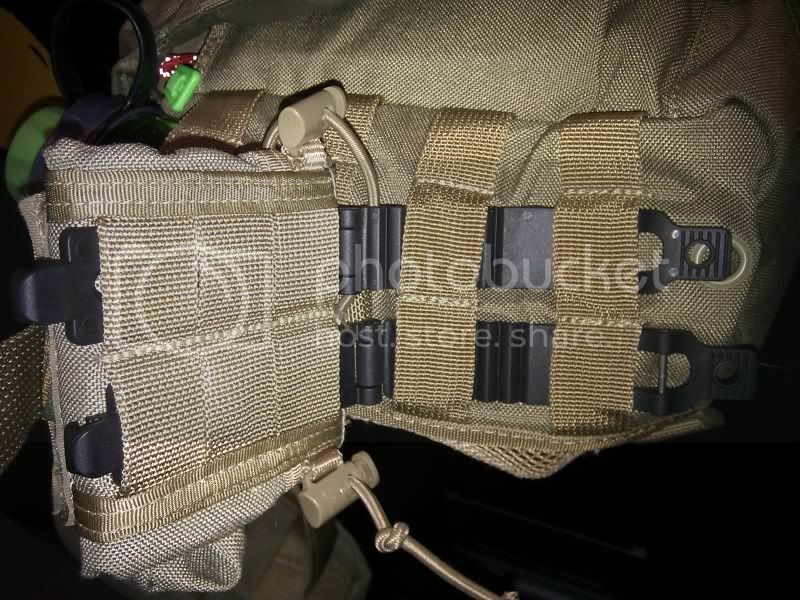 Those Blade Tech Molle-Loks look pretty good, just an updated plastic version of the original G.I. steel Alice clips. Personally, I'd stay away from those Benchmade Malice clips. The plastic strip is folded, and sooner or later, that fold will crack and fail. Blade-Tech has a new 2nd generation Molle-Lok out. They won the accessory of the year award with it this year at blade. I find that its easier to use than their current Molle Lok. The Tek-Lok is a very versatile attachment option, but it won't work with Molle. Here are some pictures for you. They are the small version of their 2nd generation Molle Lok. 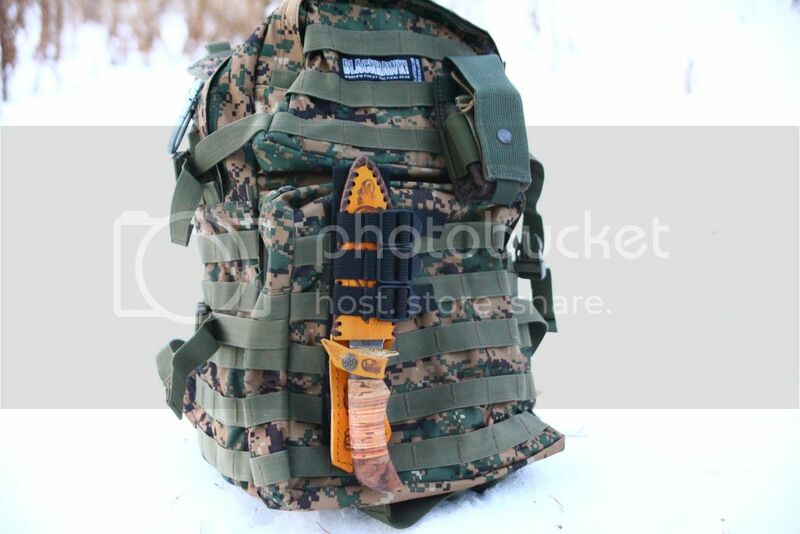 Thanks for posting the 2nd gen Molle Lok, that does look way better than the original. That may be just about perfect. PS I was selling one on the BF marketplace a while back - if you're interested in it PM me.